February 23 , 2009 (Burbank, California) For the first time in TOP MODEL history, Tyra Banks announces that girls must be 5?7? and under in order to become AMERICA’S NEXT TOP MODEL. After 12 cycles of a minimum height requirement of 5?7? matching the industry standard Banks and the casting director of The CW’s hit reality series AMERICA’S NEXT TOP MODEL are searching the U.S. for females, ages 18 to 27, of diverse backgrounds, shapes, sizes and with a height requirement of 5?7? and under. * Locations and times are TBD. Please visit www.cwtv.com for up-to-date casting information, applications, as well as additional open calls sponsored by local CW Affiliates. AMERICA’S NEXT TOP MODEL CYCLE 12 premieres Wednesday, March 4 (8:00-10:00 p.m. ET) on The CW. AMERICA’S NEXT TOP MODEL is produced by 10 by 10 Entertainment in association with Bankable Productions. 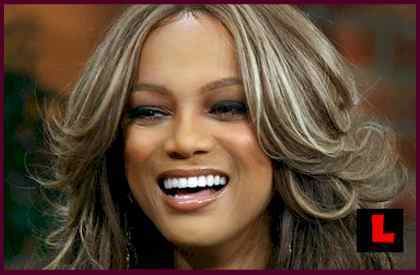 Tyra Banks is the creator and executive producer along with Ken Mok (”Making the Band”) and Daniel Soiseth (”Hell’s Kitchen”).